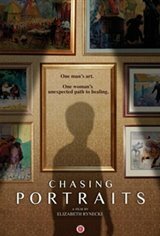 Spanning three generations, Chasing Portraits is a deeply moving narrative of the richness of one man's art, the devastation of war, and one woman's unexpected path to healing. Moshe Rynecki (1881-1943) was a prolific Warsaw-based artist who painted scenes of the Polish-Jewish community until he was murdered at Majdanek concentration camp. After the Holocaust, Moshe's wife was only able to recover a small fraction of his work, but unbeknownst to the family, many other pieces survived.